Christmas around the world is of course celebrated in many different ways, and I've always found it fascinating to hear about the different traditions people have. For example, in Hungary Christmas is celebrated predominately on Christmas Eve with a big meal of fish and cabbage - gifts are received on 6th December when children leave their shoes out to be filled with treats. In Greece presents are not given until January 1st, and in Denmark they serve a special rice pudding which contains one single almond - whoever finds it is thought to have a year of good luck headed their way! Of course, every family here in the UK has their own Christmas Traditions too - I always find it so interesting to hear how much the traditions between families when discussing them with friends. 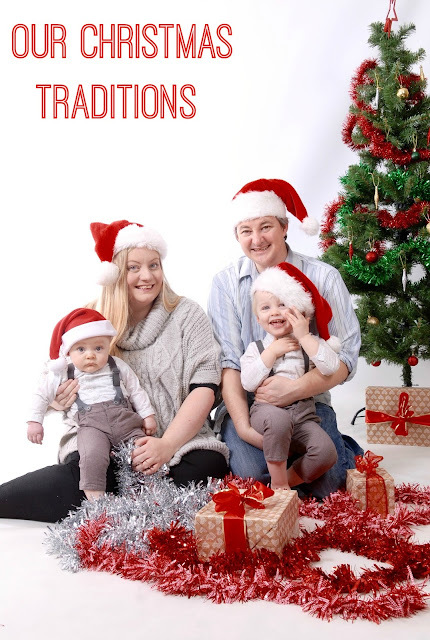 So what traditions do we have in our family? Most of our traditions probably occur on Christmas Eve - don't get me wrong I love Christmas Day but I think Christmas Eve is actually my favourite part of Christmas, it's when the excitement is building and everyone is feeling at their most festive! On Christmas Eve our traditions include giving a Christmas Eve box to the children full of treats and things to do to get them in the mood for Christmas, going to a Christmas Eve church service at the same church every year, wearing new pyjamas for bed, and leaving out a mince pie and a drink for Santa and a carrot for Rudolph before going to bed. When Tyne was born, Jon & I discussed our own families way of doing things at Christmas and decided to combine them for our kids - for example in my family our Christmas gifts were left in our bedrooms whereas Jon's were left downstairs in the living room - to compromise on this we have the childrens stockings left up in their bedrooms and the rest of their bigger gifts in the living room! On Christmas Morning Jon and I always have a breakfast of cinnamon rolls and bucks fizz (none for me this year!) while we watch the kids open their gifts in front of the Christmas Tree - we've prepped the Christmas Dinner and cooked the turkey the night before so its just a case of boiling the veg on the day itself meaning minimal time spent in the kitchen! 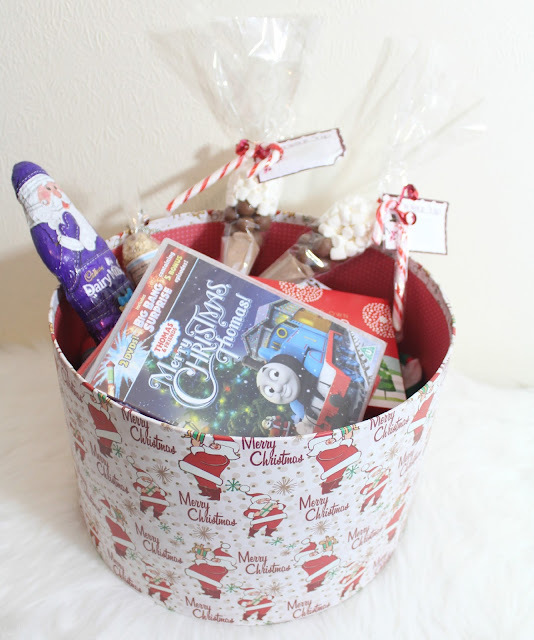 We have our Christmas Dinner around 1pm, and then spend the afternoon chilling out in our PJs watching Christmas films and playing with the kids and their new toys - around 4pm we head over to my Mum and Dads holiday apartment where we spend time with them and my sister and her kids exchanging presents and eating more yummy food! Another tradition we have is that we all have new clothes for Christmas Day - I love picking out the boys outfits every year and get so excited about it! This year I decided on a checked shirt with a singing snowman tie for Tyne along with a pair of bright red cords - very festive! 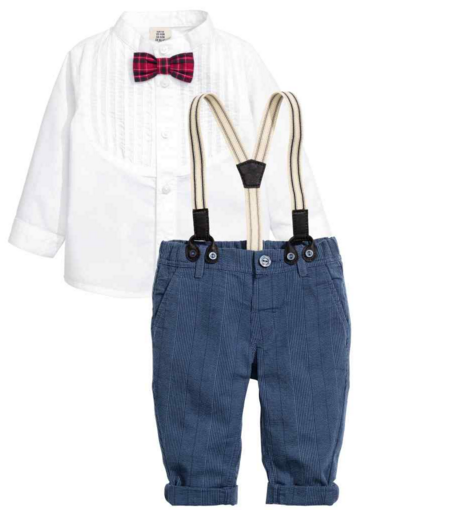 Noah will be wearing this super cute little set - I just love the dicky bow! 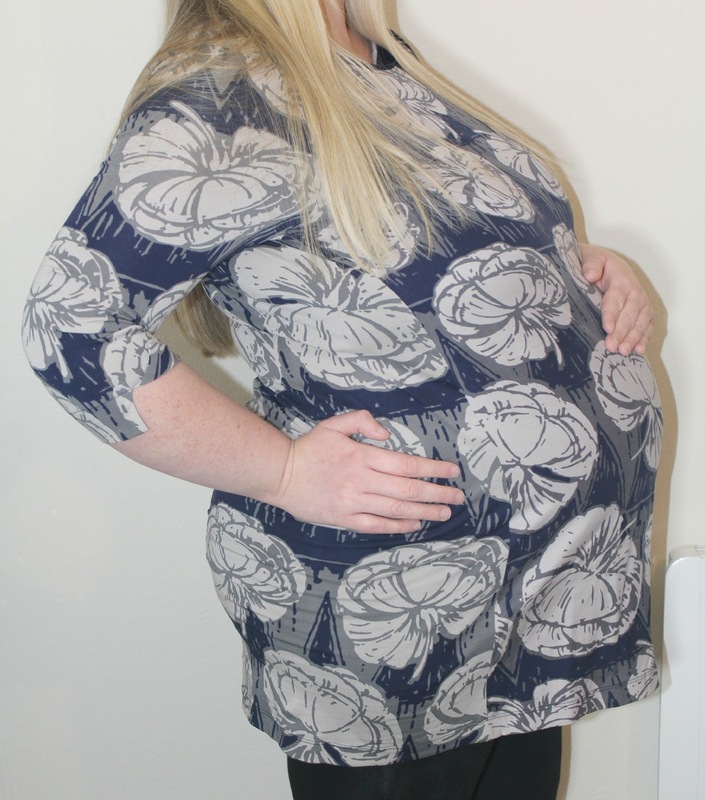 I usually treat myself to something new too, this year I have this beautiful tunic from White Stuff which I feel so comfortable in - it's not actually a maternity piece but I chose it a size bigger than usual and it fits great! On Boxing Day every year we always have a second Christmas Dinner, and head over to my sisters house for a little boxing day party. This year we've also introduced a new tradition of having a Christmas Eve Eve party at my house for the children which I'm very excited about! I love traditions at Christmas! I have always felt that it wouldn't really be Christmas without the things we do each year. But it's funny how the traditions have changed over the years from when we were children and now in our twenties, some things we have kept and some have altered!